The Native Shop specialises in quality and innovative Australian products. 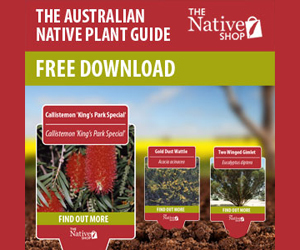 We have a wonderful selection of books & CDs on Australian plants and the environment and we have an extensive range of Australian native plants and seeds. 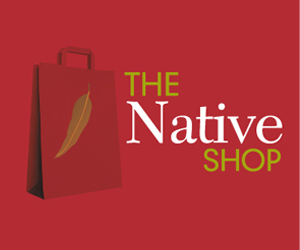 The Native Shop offers secure shopping and we guarantee the quality of the products. If you know of a product which could be included in The Native Shop, please contact us. Did you know that we supply many Government Departments (such as DSE, Parks Victoria, VicRoads etc) and Catchment Management Authorities, Councils, Farmers, Home Gardeners etc….with high quality native Australian plants for a variety of uses. (Including: Plants for re-vegetation projects, shelter for stock, windbreaks, shade, landscape gardening etc). These terms and conditions apply to the use of this web site, including the purchase of goods or services over this web site. In using this web site for these or any other purposes, you agree to be bound by these terms and conditions. If you do not accept these terms and conditions, you must refrain from using the web site. These terms and conditions must be read in conjunction with any other applicable terms and conditions governing the use of this web site. In these terms and conditions, the expressions we, us and our are a reference to Native Growth Holdings Pty Ltd.
We reserve the right to amend these terms and conditions from time to time. Amendments will be effective immediately upon notification on this web site. Your continued use of the web site following such notification will represent an agreement by you to be bound by the terms and conditions as amended. You may offer to purchase goods or services described on this web site for the price specified on this web site. Your order must contain your name, email address, credit card details and any other ordering information specified on this web site. Within seven days of receipt of your order, we will at our discretion accept or reject your offer to purchase. You may not cancel an order once it has been submitted, even if our acceptance or rejection of your offer is still pending. We are not required to give reasons for rejecting your offer to purchase. If we reject your offer to purchase the goods or services for any reason, neither of us will be under any further liability to the other arising out of your original offer or our non acceptance of that offer. If we have not responded to you within seven days, your offer will be deemed to be rejected. We give no undertaking as to the availability of products advertised on this web site. Delivery of the goods or supply of the services to you will be effected in the manner described on this web site. Title in the goods does not pass to you until payment has been received. Risk of loss or damage to the goods passes to you upon dispatch. Payment must be effected in the manner described on the web site. Unless expressly stated, prices are inclusive of goods and services tax and charges for delivery anywhere in Australia. In all other respects, the price is exclusive of taxes, duties and charges imposed or levied in Australia or overseas in connection with the supply of goods or services. The goods and services are offered for sale only to persons who can make legally binding contracts. You acknowledge that despite our reasonable precautions, products may be listed at an incorrect price or with incorrect information due to a typographical error or like oversight. In these circumstances, we reserve the right to cancel the transaction, notwithstanding that your order has been confirmed and your credit card has been charged. We reserve this right up until the time of delivery of goods or supply of the services to you. If a cancellation of this nature occurs after your credit card has been charged for the purchase, we will immediately issue a credit to your credit card account for the amount in question. This disclaimer does not attempt or purport to exclude liability arising under statute if, and to the extent, such liability cannot be lawfully excluded. We do not accept responsibility for any loss or damage, however caused (including through negligence), which you may directly or indirectly suffer in connection with your use of this web site or any linked web site, nor do we accept any responsibility for any such loss arising out of your use of or reliance on information contained on or accessed through this web site. To the extent permitted by law, any condition or warranty which would otherwise be implied into these terms and conditions is hereby excluded. If legislation implies any condition or warranty, and that legislation prohibits us from excluding or modifying the application of, or our liability under, any such condition or warranty, that condition or warranty will be deemed included but our liability will be limited for a breach of that condition or warranty to one or more of the following: (a) if the breach relates to goods, (i) the replacement of the goods or the supply of equivalent goods, (ii) the repair of such goods (iii) the payment of the cost of replacing the goods or of acquiring equivalent goods or (iv) the payment of the cost of having the goods repaired; and (b) if the breach relates to services, (i) the supplying of the services again or (ii) the payment of the cost of having the services supplied again; and if item (a) or item (b) is not permitted under applicable legislation, to the maximum extent permitted by applicable legislation. Except in relation to liability for personal injury (including sickness and death), and except as otherwise stipulated in these terms and conditions, we will not accept liability to you in respect of any loss or damage (including indirect, special, or consequential loss or damage) which may be suffered or incurred by you or which may arise directly or indirectly in respect of goods or services supplied pursuant to an order placed on this web site or in respect of any failure or omission on our part to comply with our obligations as set out in these terms and conditions. You must ensure that your access to this web site is not illegal or prohibited by laws which apply to you. You must take your own precautions to ensure that the process which you employ for accessing this web site does not expose you to the risk of viruses, malicious computer code or other forms of interference which may damage your own computer system. For the removal of doubt, we do not accept responsibility for any interference or damage to your own computer system which arises in connection with your use of this web site or any linked web site. Whilst we have no reason to believe that any information contained on this web site is inaccurate, we do not warrant the accuracy, adequacy or completeness of such information, nor do we undertake to keep this web site updated. We do not accept responsibility for loss suffered as a result of reliance by you upon the accuracy or currency of information contained on this web site. Responsibility for the content of advertisements appearing on this web site (including hyperlinks to advertisers’ own web sites) rests solely with the advertisers. The placement of such advertisements does not constitute a recommendation or endorsement by us of the advertisers’ products and each advertiser is solely responsible for any representations made in connection with its advertisement. We make no warranty that goods or services acquired from us over this web site will meet your requirements. Details contained on this web site relating to goods or services have been prepared in accordance with Australian law and may not satisfy the laws of any other country. We do not warrant that the details on this web site concerning those goods or services will satisfy the laws of any other country. It is your responsibility to determine whether these details satisfy the laws of the jurisdiction which you reside (if that jurisdiction is outside Australia) and if the details do not satisfy the laws of your jurisdiction, you may not order any goods or services from this web site. You acknowledge that despite all reasonable precautions on our part, there is a risk of unauthorised access to or alteration of your transmissions or data or of information contained on your computer system or on this web site. We do not accept responsibility or liability of any nature for any such losses which you may sustain as a result of such activity. Copyright in this web site (including text, graphics, logos, icons, sound recordings and software) is owned or licensed by us. Other than for the purposes of, and subject to the conditions prescribed under, the Copyright Act 1968 (Cth) and similar legislation which applies in your location, and except as expressly authorised by these terms and conditions, you may not in any form or by any means: · adapt, reproduce, store, distribute, print, display, perform, publish or create derivative works from any part of this web site; or · commercialise any information, products or services obtained from any part of this web site; without our written permission. You must not use any of our trade marks or the name Carbon Market: · in or as the whole or part of your own trade marks or business name or company name; · in connection with activities, products or services which are not ours; · in a manner which may be confusing, misleading or deceptive; · in a manner that disparages us or our information, products or services (including this web site). You must not authorise or assist any person to do any of the acts specified above. Unless we agree otherwise in writing, you are provided with access to this web site only for your personal use. You are authorised to print a copy of any information contained on this web site for your personal use, unless such printing is expressly prohibited. Without limiting the foregoing, you may not without our written permission on sell information obtained from this web site. This web site may contain links to other web sites (linked web sites). Those links are provided for convenience only and may not remain current or be maintained. We are not responsible for the content or privacy practices associated with linked web sites. Our links with linked web sites should not be construed as an endorsement, approval or recommendation by us of the owners or operators of those linked web sites, or of any information, graphics, materials, products or services referred to or contained on those linked web sites, unless and to the extent stipulated to the contrary. We will preserve the content of any email you send us if we believe we have the legal requirement to do so. Your email message content may be monitored by us for trouble?shooting or maintenance purposes or if any form of email abuse is suspected. These terms and conditions are governed by the laws in force in Victoria. You agree to submit to the exclusive jurisdiction of the courts of that jurisdiction.